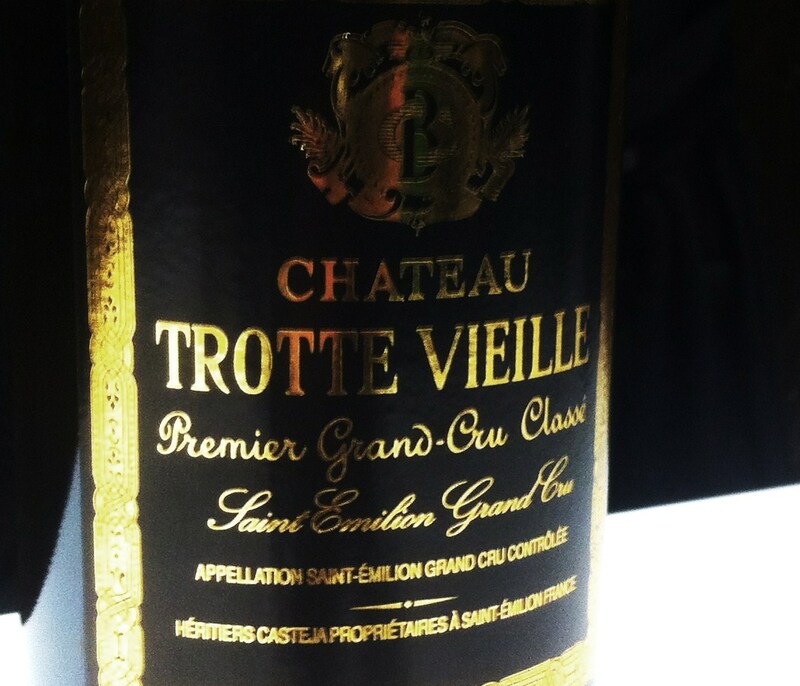 Château Trottevieille is run by Philippe Casteja [of Château Batailley and Borie-Manoux] and gets its unusual name from a fabled old woman [vieille in French meaning ‘old lady’] who used to live on the property who would always run [trotte in French ‘to run’ or ‘trot’] to hear any news that people had to offer. For me these wines, as a left-bank fan, really hit the spot, as they have a very high proportion of Cabernet Franc in the blend that adds spice and freshness. Although geographically it couldn’t really be any further from Château Figeac, to me there is a certain similarity in the very best vintages here. Vineyard/Terrior: 10 hectares on the limestone plateau with clay above. Planted with 50% Merlot, 45% Cabernet Franc and 5% Cabernet Sauvignon. Estate classified a St Emilion Premier Grand Cru. Winemaking/Elevage: Aged in 90-100% new oak. 2010 Deepish – red at edge; slightly reductive note at first; blew off; blackcurrant tones; spices; elegant palate which works well in a nicely balanced style. Good length. Drink 2016-2030. 91+ MW Institute Nov ’14 [Earlier note] Deep colour; Cabernet Franc freshness here; blackcurrants, chocolate; attractive and appetizing; pretty dense and layered palate; chewy but lots of richness and depth; cool and attractive more-ish St Emilion – in case you thought that wasn’t still possible. This looked wonderful during the primeur tastings and is still a delight. 93+ [Earlier] Deep red; not the most saturated; thick and concentrated, some smoke, black cherry, some stalk, attractive and thick, some red fruits too – strawberries; good palate, chew and fruit with excellent density. Lots of extract and grip too. Very good. Real finesse here the Cabernet Franc influence. 92-94+/100 6th April 2011 UGC [Second] Saturated and deep; legs; smoky tones, graphite and earth; more minerality here; more intense too; very tight and layered and intense; very fine wine here; excellent focus and precision on the palate; very, very precise; density too; precise, focused and intense. Fabulous length, simply goes on and on. Quite tremendous. 96-98/100 Tasted April 6 Groupement de Premiers Grands Crus Classes de Saint-Emilion. 2006 Dense at the middle, tight to the edge; some stones and minerals, quite firm and smells like it will be gutsy and muscular; some open qualities on the palate, attractive, fruit, coffee and oak; lots of extract infact and guts, acid and tannin. Quite a mouthful as the nose suggested. Fruit, acid and tannin here. Structured and muscular. Could be good. 88-90/100 MW Institute Nov ’10.